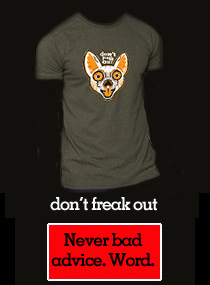 team small dog: Lucky dog swimming at the pond, a post for Mary. Lucky dog swimming at the pond, a post for Mary. Mary, this was Super Lucky because my phone sat at the bottom of the pond for a while and still worked good enough to make this movie. I looked down, and there it was, upside down, on the bottom of the pond. I walked in and picked it up and it worked good enough to take this movie for you. And who doesn't love wet shoes??? 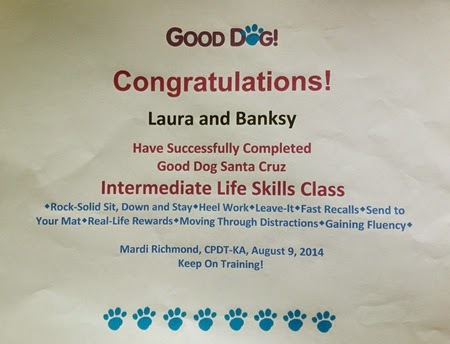 Also featuring Banksy's graduation certificate from her dog class. Which probably had something to do with the fact that she did her first ever recall out of the pond! No dragging involved! I just walked away from the pond and called her and she came to me! Wow! Super amazing because this hasn't yet happened at the pond since she has learned how awesome swimming is. And afterwards, we went over to our special training field and were doing long distance crate games. And this big lab with hackles up came running into our crate games and Banksy was all, oh, hi. I'm busy doing crate games, but thanks for visiting. Then the skateboarding guy with his kelpie came by, and Banksy was all, oh hi. You are pretty awesome but I would rather do crate games then go skateboarding with you! And I had the really good ball which can make crategames sometimes, sticky. AND, afterwards I found some money on the floor of my car and so I went to the store and got some Boonville Bitehard cider. Have you had this? It makes me think I'm back in Boonville. And the can looks like it was letter pressed. So there was a lot of luck happening this day. Just so you know. Everybody think lucky thoughts for Mary! We are heading back up there in January. Might need to buy a case for ourselves and our friends. xoxoxo to Bansky from Gnome.